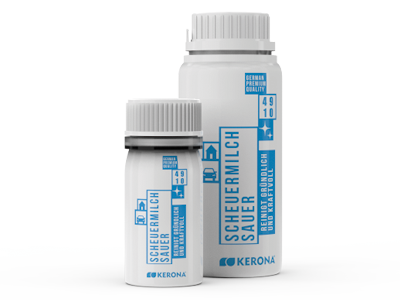 The KERONA® Basic Cleaner 3000 activates the glass surface for an optimal result of the sealing. It is also suitable for intensive cleaning of heavily soiled glass surfaces such as glass ceramic hobs, glass shower walls as well as glazed tiles and sanitary ceramics. 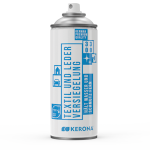 If you clean the surface with our Basic Cleaner 3000 before nano sealing, its durability increases. Even the most stubborn soiling is loosened by abrasive components and the surface is perfectly prepared. Available as 40ml screw cap can and the 250ml bottle. We would be pleased to advise you on this or other of our products. Just let us know briefly and we will get back to you. 2. Pour the product onto a cloth and polish in sections in circular motions. 3. Then remove the product residues with water and rub the glass dry. Note: If the cleaner dries on the surface, it can be diluted with water again. Do not mix with chlorine-based cleaners, since harmful vapors may arise. Do not use on acid-sensitive materials such as marble and other natural stones.